I stumbled upon TieCon Pune to meet a few people outside Westin. But it was the live tweeting of a few sessions that really got my attention. But when have I listened to people and not drawn my conclusions? Yeah you got it never. 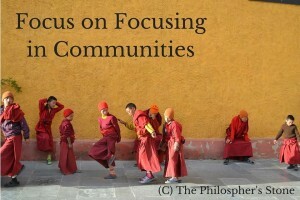 When it comes to community, focusing on a central idea becomes key to successes. Yes I mean success in plurality. Build on a theme and find avenues to reinforce the ideas. By ensuring that the many tuning in to the group each day have something common to share, interactions become more healthy and fruitful. Again this is all okay and perhaps agreeable to most. The takeaway never lies in gyaan but the implementation of it. Lets now discuss the how and not the what. 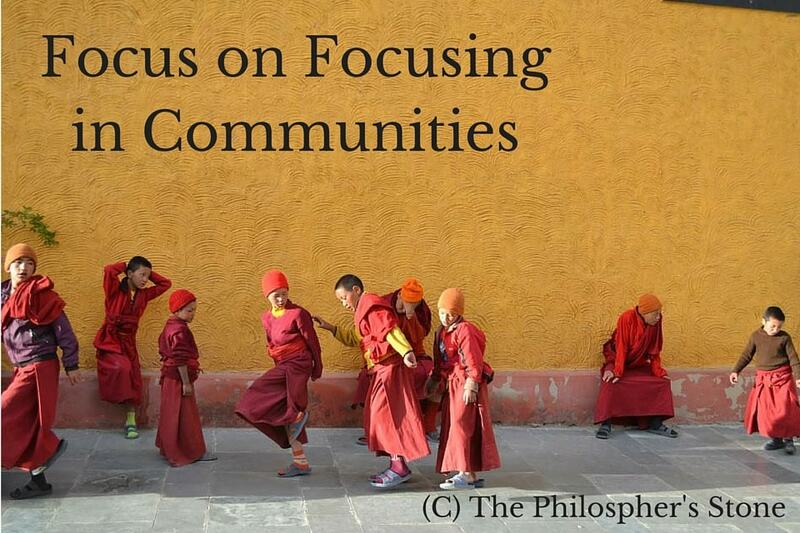 How can communities today focus on focusing? In a community visions cannot be goal driven, they are almost always emotion driven. Derive a common emotion for the group. It could be progress of all or reaching a certain milestone as a group. Or it could also be a cause that is external to each member but adopted by the network on the whole. A business convocation. Every member arrives with a personal agenda. But the symbiosis of connections in the group ensure that all these personal agendas gain some mileage through interactions. When you are forming a community, what is the emotion that are you defining? A common spirit. An external stimuli. Or progress for all. Nothing works like results. Let no one tell you otherwise. A new community must always immediately decide upon an action plan which sees success in no time. The momentum will help everyone to stay committed to the cause and also create inertia for further group activities. These action plans can be up front a reflection of common vision (or emotion) of the community. Leading by example comes most naturally to all human beings. And a well crafted action plans can readily re-in-force the common emotion. Answer this question for everyone. Substantially to an extent that they feel connected to the common idea of your community. This exercise is also useful in identifying visions and short term action plans. Through rapid connect of these dots, one always moves ahead on the graph of vision and progress on the whole. Ensure that every single member of the community feels that the group is existing for a purpose. It should resonate with each member that the community is here because they mean business. While explaining presentations to people, I often say. Keep five slides short while deciding on presentation of content. These five slides worth of time is indirectly allotted to your potential client/customer to ask you questions. This is a rare opportunity for you to connect with him or her at a human level. No email or phone call can replace that idea. Basically don’t only promote your work but also engage. Same goes for all forms of social media and community building activities as well. As a team, encourage structured activities where members do not only speak but converse with each other. Build platforms not only for promotion of their work but also engagement. Make their content converse with each other. This comes in series of my resolution to begin writing about my experiences in community building. If you have something to add to this please do, will edit this post to add your bit with due credit. Engagement is critical for success. I also feel that a community should be able to meet what the member is looking for. Members have such a wide range of personalities that it is hard but all worth in future. Exactly, community should be important for every member. I like the distinction between speak and conversing. So important for group dynamics and achieving community goals. Yup. Same as listening and hearing.